From the star of THE RADKES, the reality show soon to air on USA network, this is the hilarious, heartbreaking, and inspiring journey of one woman learning to stand up for herself in a world of naysayers, by the creator of the "Red Ribbon Week" video, which has over 150 million views. 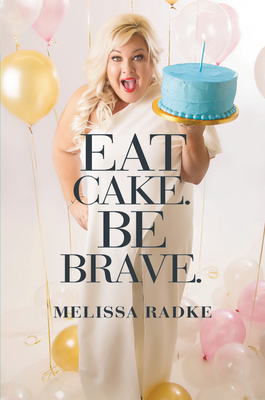 Melissa Radke's online videos, at print, have reached over 57 million people on her Facebook page alone in a little over a year. Radke's "Upside Down French Braid" video has close to 10 million views and her "Red Ribbon" video has been viewed over 100 million times across multiple websites and media outlets. A Texan born and bred, Radke spent 15 years of her life in Nashville, Tennessee, where she worked as a studio session singer for Recording Artists after graduating from Belmont University. Since becoming a parent, she moved her family back to her East Texas hometown because the barbecue is better and the babysitting is free.